CNN and NextVR will make history on October 13th by hosting the first-ever live stream of a news event in virtual reality, giving viewers a front-row seat to CNN’s 2016 election debates. 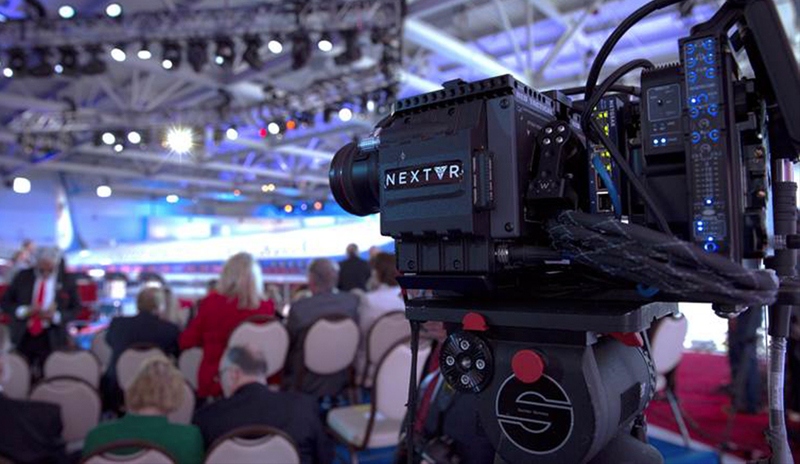 The network is partnering with virtual reality technology platform NextVR to stream the CNN Democratic Presidential Debate live, in full 3D immersive virtual reality, from Las Vegas, NV. The live stream follows CNN and NextVR’s first virtual reality experience at the CNN Ronald Reagan Debate, where it quietly filmed the highest rated event in CNN history in virtual reality to make it available to users on demand. This experience is now available to users who have a Samsung GearVR virtual reality headset by visiting the NextVR portal in the Oculus Store. Once downloaded, the debate can be seen from the perspective of an audience member at the Ronald Reagan Presidential Library. From radio broadcasting to televising to today, virtual reality allows viewers the opportunity to experience these historic political events through their own lens. Users are able to hold a gaze on a particular candidate, catch off-screen interactions and more. Each and every viewer has a seat in the room and a new perspective on presidential debates.